I got a goat today. I’ve always wanted goats, but never had a place to keep them. My manager at work was thinking of getting rid of his buck, so I said I’d be willing to take him. We worked out a deal and he came to stay with us today. He’s part Nigerian Pygmy, part Nubian and very sweet. We’ve named him Lwcas, with the true Welsh spelling. In Welsh, Lwcas means “lucky.” We hope he is lucky to be living with us. At the bare minimum, goats need shelter. They can become very sick if left out in the rain. Shelter can be as simple as a few pallets bound together with a tarp draped over and around them, or as complicated as an entire barn. I built an enclosure a few weeks ago in part of my barn for my chickens and he seems fine sharing it. Just be sure to have a good latch on the door as they can be sneaky! Fencing is best for keeping goats on your land. Use a welded wire fence such as cattle panels. You can tether them, but keep an eye on them. Goats should never be left on tethers unattended. They have no natural defenses against predators. I plan to have Lwcas out with me when I’m gardening, using a wire cable meant for dogs. This has been used successfully in the past – they just need to be watched constantly. Don’t use rope, as they can chew right through it. Chain is also not a good idea as they can be hurt by the links. Water is essential to all living things, goats included. Make sure they have plenty of fresh, cool water at all times. 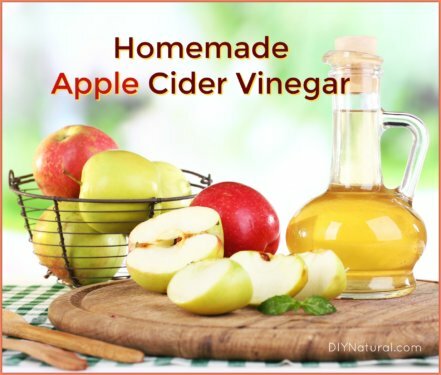 Add some raw apple cider vinegar to it for a few reasons. It contains potassium and other nutrients. It can help to control parasites and helps to reduce algae in stock tanks. Be sure to also provide water in the winter. It’s a myth that animals can get the water they need from snow. It takes a large amount of body heat to convert snow to usable liquid, and most animals need that energy to keep warm in the winter. Contrary to popular belief, goats do not eat everything in site. They are, in fact, pick eaters. Their diet should consist mainly of hay. The stomach of the goat is not designed to handle large amounts of grain and too much can cause health problems. A small cup full morning and evening with plenty of fresh dry hay will suffice. Hay dried in the sun with no rain is best. If there is rain, it may be wet inside and can mold. And be sure that the hay is kept in a manger. Most goats will not eat food fallen on the ground. Alfalfa, red clover and timothy hays are good choices. Some sources say that white clover should not be used and some say it’s fine. There’s no real consensus there. Straw is the shaft left from harvesting grain such as wheat or oats. There is little to no nutritional value in straw and it should only be used for bedding. Grain mixes, often labeled as “sweet feed” are available at many feed stores. They also come in organic varieties, containing no artificial ingredients. They are whole or cracked grains mixed with molasses for sweetness. Molasses also provides necessary minerals such as iron. Feed sweet feeds in very limited amounts. You can make your own with rolled oats, barley, buckwheat, soybeans and cracked corn mixed with a bit of molasses. Goats need more minerals than iron. To provide them easily, there are trace mineral supplements available, or provide them with a salt lick. Be sure to get the one with minerals, often brown in color. They are very cost effective, often no more that $6.00 for a 50 pound block. Kelp can also be fed to give them some minerals. Goats can benefit from probiotics just like humans. Give them a tablespoon of yogurt once a week or some kefir. Both contain lactobacillus bacteria that is beneficial to the system. When feeding during breeding season, you’ll want to stay away from soy, red clover and kudzu. All are good for feed, but can have estrogenic effects which could cause complications with breeding. Skip these for a few weeks, then continue feeding as you normally would. Goats need deworming just like horses, cows, dogs and cats. There are more organic options than you’d ever think. Add a bit of food grade DE (Diatomaceous Earth) to their feed, and most internal parasites will be eliminated. DE is made from tiny sea creatures called diatoms. These are dried, crushed, and used for a number of things. Be sure to get only food grade DE. 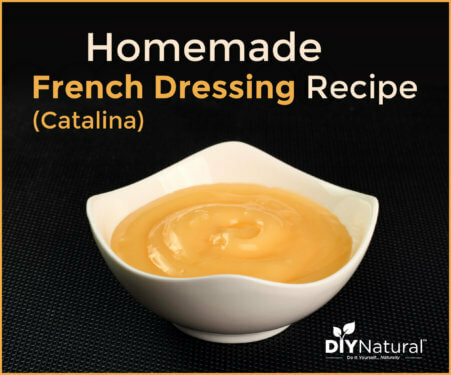 The DE made for swimming pools or as insect repellent often has chemicals added to it. DE is so tiny that it won’t harm you or the goat, unless you get it in the eyes, so please, avoid that! 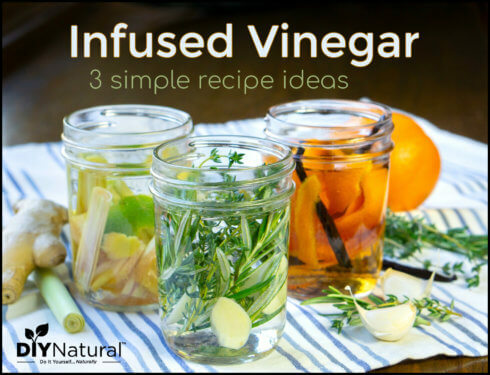 It can be ingested or used externally for lice or other crawling bugs. It works great for ants in the paddock area. Another great aid in deworming is pumpkin seeds. Yes, those tasty green or white seeds that come from the pumpkin. Grind them up and give your goat about a tablespoon once a week for three weeks. This will ensure that you catch anything that may be hatching later. Goats will also need their hooves trimmed about once every 2-3 months. Not doing so can lead to crippled animals. A fun easy way to keep hooves trimmed is to provide your goats with a few cement blocks stacked to form a platform. They’ll have a ball playing on it and keep their hooves filed too! Do you have goats, or considering it? 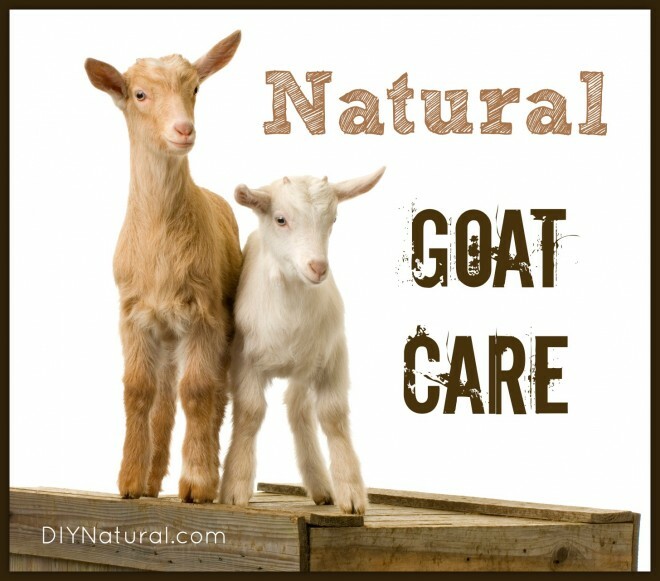 Those with experience should share their natural goat care tips. Amber, when the goats clear property, do you use temporary fencing to keep them from wandering off? I just wanted to repeat what was said earlier. Goats will gird a tree so do put fencing around any and all trees that they will be in contact with. They will also stand on their hind legs and eat up a tree as far as they can reach. Our goats were good weed eaters. They loved a lot of different weeds. We tied one of ours to a fence line that we wanted to get rid of some of the Bermuda grass and it got diarrhea, I guess her tummy didn’t like it. We had one for milk and it was one of our boys jobs to milk her, it was a fairly easy job but one you can not miss doing. If we went away, one of the neighbor boys would come milk for us. I am looking for lecturers on animal husbandry and back yard farming for a small community fundraiser on May 18-19 in the North West region of Pennsylvania. The event is to raise money for Kanzius Cancer Research. There will be local craft vendors, an upcycle contest, a cast iron chef cookoff and various speakers / demonstrators to promote sustainable living while supporting a good cause. Any ideas how to find people? One of the best hays I have found for goats is Chaffhaye. The company is in Texas and their product is a chopped alfalfa that is cut, chopped and vacuum sealed to preserve freshness. I have no waste since it’s chopped, the goats love it and my grain ration has been cut in half (which I REALLY like). They have dealers across the country so a search on their web site would turn up what’s available in various states. For what purpose do you have goats? We have them for milk, meat, helping to clear property and just because we like them. If you live anywhere near a coyote habitat, you will also want a llama or LGD (livestock guardian dog) to help keep those goats safe, especially during kidding season. They more like deer in the way they move around to feed. Don’t buy them and expect them to eat down your blackberries on one side of your barn (very popular reason for goats where I live). They will wander all over, eating whatever is there. You will have to tie them to a spot if you want that spot eaten. Wethered goats (male goats that are castrated) should go easy on the grain; not great for their kidneys. They will strip every fruit tree in your yard if you let them. They pretty much destroyed my garden (accidentally left the gate unlocked), eating everything – luckily it was in the early fall and I was thinking of cleaning up the garden anyway. They saved me some work. If you really want goats, try to find a goat rescue in your area; the idea of owning a goat and the actual owning of a goat are two very different things. Many people get a goat thinking they’ll keep it for lawn care and shrub maintenance – with minimal input from owner – only to find out that WOW!! – they need love and care just like any other animal. You’ll love your little guy– congrats! We love our goats too! It’s already been mentioned several times, so I’ll just quickly reiterate that he’ll do best with a companion. One thing to know about goats, as well, is that they will eat whatever their hearts lead them to, whether it’s good for them or not. We nearly lost one “queen milker”, Daisy, when she got into the chicken area once, when the gate to their feeding area was inadvertently left open. Because goats are ruminants, they should never eat prepared poultry feed, organic or not. (We do the organic “thing”.) Thankfully, with some good herbals, we were able to pull her through. Goats are like deer– they prefer reaching for their food instead of grazing. They’ll do both, of course. You’ll need to know the weeds and other plants on your land, as there are many that are, indeed, toxic to goats. They destroyed my lilac bush on our farm before we moved here. 🙁 They love poison ivy, which is fine for them– and us! But the common rhubarb is toxic to goats. So, in short, many things they will naturally avoid, but not all things. Goats are hardy creatures and generally quite healthy and easy to take care of. Goats are the best- but as most have already said, keep them in pairs- they do better with a buddy goat. Goats are smart,effectionate and very vocal. But buyer beware- they eat anything (burdock being among their favorites) and that included my prized dwarf strawberry patch – my nanny goat Dazzle ate 3/4 of the patch, roots and all before I realized what was happening. So, a good sturdy gate helps too! We plan to get a few goats soon. Since we just finished an extremely cold and snowy winter, I’d like to know if goats like to stay out in the snow. A goat farmer told us they like snow, but hate rain. Not sure if we should keep them in the barn next winter or let them stay in their paddocks in their shelters. Your goatie needs a friend! Like the others have said, preferably another goat. I also recommend loose goat minerals. Goats need more copper than sheep (so if you have sheep, you must keep them from the goat minerals). Another option is to get a goat protein lick to accompany the hay– also, make sure that there is not any soy anything for the goats! You can get toys for the goats as well. If they don’t have a large space to roam in, they get bored, so the point above about the goats eating the house can come true! I would like to say that DE is not sufficient for deworming. It only gets some parasites and it has to be 5% of their total feed consumption. I recommend going with a good quality herbal wormer blend instead. DE is a good supplement though. Hooves should only need to be trimmed every 4-6 months. Feeding corn will cause excessive hoof growth as well as a plethora of other issues. Goats also need a quality loose mineral. They can’t get enough out of a block and it is hard on their teeth as well. The mineral should be high in copper. Mine is 3000 ppm. If you are in a selenium deficient area that will need to be supplemented as well. Selenium deficiency causes many issues from birthing issues to lack of thriftiness. The best thing to do is read read read BEFORE getting goats. Also, find an experienced and successful goat mentor near you to learn from. I raised goats for more than a decade on inner city school elementary and middle school campuses. The goats were a great way for teaching all kinds of responsibilities to kids of any stripe. These goats were raised for show and I had several “place” over the years. A consequence of this program was that a great many of the participants went on to college. Even in the toughest neighborhoods I had a record number of parents of my kids show up for helping out with the program. Concerning your goat advice, I would never feed goats what you say in this article. If you are going to keep them as pets they will do nicely on the 50 pound bags of premixed pelletized feed that should be kept dry. In nature goats are browsers, meaning they like to nibble on all kinds of plants. No, goats do not eat any & everything, but they will pick up small bits of metal from time to time because they think it is just a piece of wood. I would also have your housing raised a bit in case of rain. You don’t want your goats sitting in soggy material. The best bedding is the hay you described as “food” and cedar chips mixed together. The goats will always have something in their mouths because they like to chew stuff, so keep all your children’s toys and plastics away from the goats. Finally, the hay, cedar chips, and manure can all go into your compost making the best compost available, but it takes about a year for that material to breakdown for use. If you have chickens, you can let them scratch around in the goat pen from time to time. The birds will eat any fly larva and eggs taking care of any fly infestation that might develop. The up side to using your chickens to police the goat pen is that you will have the richest yolks you have every enjoyed. Those yolks are key to making the best ice cream in the world. I’d like to reiterate what the previous commenter said – this goat will need a companion animal, preferably another goat. If yours is a buck, the other goat should be a wethered (neutered) male (although two bucks may not fight is there are no does around). I do know of single goats who have done ok with other livestock such as horses or llamas. Also, I have read that a goat will be unable to lick enough salt to obtain all of its dietary needs. Better to feed free choice powdered mineral. Be careful if your goat is wandering around with you while you’re out gardening. The goat will sample your garden and your landscaping plants. Certain ones are poisonous, like rhododendron. While I feed some garden waste to my goats, such as kale that has overgrown and carrot tops, I wouldn’t feed tomato, pepper, or potato plants as they are in the nightshade family. Your goat will be happier and safer if he is kept in a sturdy enclosure with an animal companion rather than wandering in the garden or yard. Best of luck! They make great pets. Before I knew better, my little goats ate all the bark off my young apple tree and killed it. Also it is thanks to them that I had found out that the exterior to the houses in the housing development were made of some form of particle wood and not real wood, as they were nibbling on it as well, and ate enough of it that I could very clearly see it was not real wood. I had pygmy dwarf goats, and got all of them when they were 2-3 days old, bottle fed them and they were wonderful pets. All the neighbor kids would come over to play with them. One day I just got this feeling I was going to get a visit from animal control and called the woman I had bought them from and asked her to come get them. She had said she didn’t know if she could get there for 3-4 days. Luckily she happened to come the next morning and about 3 hours later I got a visit from animal control. Don’t know how or why I got the feeling they would come. Luckily I was able to tell them I had given them back to that woman that morning or the animal control fellows would probably have had the most expensive cabrito ever that night. Their names were Goatly, PJ, Amanda and Precious. I once had Amanda and PJ with me in the car when I went through the drive through window at Walgreens. They told me my prescription wasn’t ready and I could wait inside if I wished. I asked them if I could bring my kids in with me, and the lady said, Of course. They all got a good laugh when they saw my kids were really kids and everyone was petting and loving on them. They were of course, still tiny at that time, less than five pounds each. They are really wonderful pets. I’m not understanding here. Why would animal control come to your house to take away your goats? Were you breaking any laws, and if so, why didn’t you know them first before bringing animals to live with you? Congratulations on your new goat! We just brought home our first goats 3 weeks ago! We have 3 does (2 Nubians, 1 Saanen) and 1 buck (Nubian). I would also like to add that goats are VERY personable. If you only have one, he is going to be lonely. They are herd animals and need the companionship of another goat, sheep, donkey, etc. Goats can also get stressed very easily. The change of moving to a new home and the change in routine can cause them stress. All four of ours experienced this for about a week, now they have finally settled and are getting accustomed to our routine and their new home.